There is simply nothing better than grabbing a share box of chocolates, some popcorn, your blanket, and family to have a movie night around your new TV. Its just something about cozying up to each other in the evening and laughing at a comedy or crying at romance. To get the ultimate experience, you need a good quality TV. 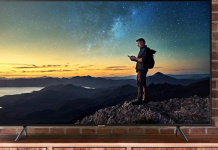 There is no doubting that a standard TV will do the job you want it too but having a TV that provides a better user experience will amerce you even deeper into the fictional world of your movie or TV show. Samsung allows you to do this. Theyre one of the leading electronics companies in the world, and they regularly supply TV to families and couples all over. In 2019 they were branded one of the most valuable companies in the world. In 2016 around 21% of LED TVs sold, came from the Samsung TV Manufacturer. Samsung has slowly become one of the worlds most trusted companies selling electronics and their reputation only gets better. As of 2019 they have over a dozen different TV series that span a wide range of screen sizes and have various features. There are so many options out there that youll be spoilt for choice. Where are Samsung TVs Made? 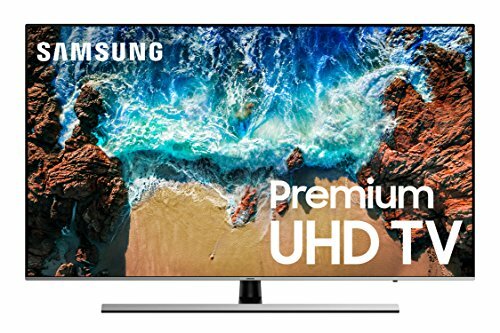 Which TV is Better Samsung or LG? What is a Samsung Smart TV? What do Samsung TV Model numbers mean? 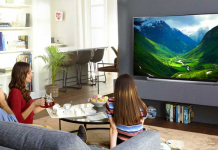 Thats why we have put together a list of the top 10 Samsung TVs, its sure to help you decide which TV best suits your needs and budget (click here for TVs under 500 dollars). Weve also included a buying guide to tell you more about buying a Samsung TV and what you should consider before you purchase one. This UN55MU8500F model is a 4K Smart TV with added features. Its better than an average television and has excellent image quality as well as a curved design. For such a reasonable price, you get a great product. The curved screen design is even better as its not only aesthetically pleasing, but it can enhance the movie even more. If youre planning to use this as a gaming TV then youre in luck, it has a low input lag, so its great for playing all your favorite video games. The stand of this model has two positions and is very stable, the legs at either end of the TV unit allow it to stay perfectly still, even if it is knocked. The borders are also very thin and look sleek since theyre made of metal. One of the best aspects of this UN55MU8500F model is that its extremely thin. From a side view, it does seem a little thicker due to its curved nature, but it is still a very sleek and stylish TV that would work in any modern room of a house. Its a 55-inch TV (hence the UN55 name! ), but no matter how big the screen is, this TV doesnt let down the user regarding picture quality. It has a high contrast ratio which can be paired with the black uniformity levels to make a good overall picture. One of the only things this TV struggles with is the local dimming, since it is implemented in vertical zones there is a bright highlight on the screen. Other than this, its a great quality TV. Its also very affordable, for a 4K TV of this quality, you may expect to pay more, but Samsung has always ensured a wide range of people from all different backgrounds can purchase their TVs. Its a good family TV that is an ideal addition to any family home. Why We Liked It - Family time doesnt have to mean spending a lot of money out of the house; it can mean purchasing a movie everyone likes and all having a fun night in! 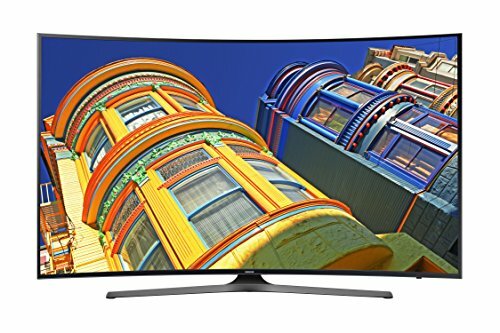 This affordable yet stylish Samsung UN55MU8500F is the perfect addition to any household, especially if you all love watching movies and general TV. Its also perfect for playing video games, so the kids are sure to like it even more than you do. 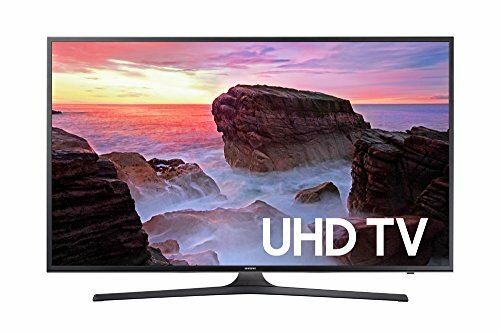 Another excellent value 4K TV is the Samsung UN49KU6500F model. It offers a high picture quality and has a curved screen (which everyone in the family is sure to love!). It even performs better in a darker room, so you can really involve yourself in the movie storyline and get scared when something scary comes on during the horror show! Its a 49-inch Smart TV with a lot of great added features, the whole family is sure to want a taste of it. 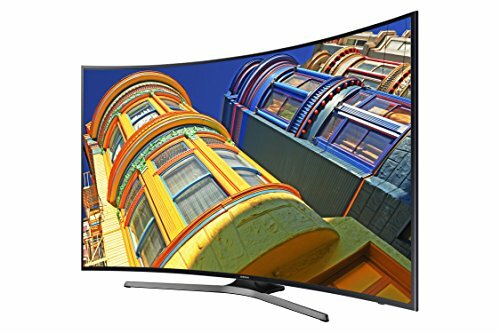 Unlike other Samsung curved models, the UN49KU6500F sits on a central stand and is supported by a smaller footprint than other models that are similar. This means its even more ideal for anyone wanting to place the TV on a smaller unit. The gradient and contrast of the TV is tiptop. It has a color depth of 10 bits, and it only has minor issues when dealing with darker shades (this is mostly greens). This doesnt affect your viewing pleasure though; its more the mechanical side of things. One of the only things that are average (and not above average or exceptional) on this model is the sound quality. If you have some speakers, a sound system or a sound bar to hook the TV up to then, we would recommend doing this as it doesnt perform well at louder volumes. Unfortunately, this 49" TV also doesnt deal with reflections well either, since it is a curved screen TV, it struggles when the external light hits it. Despite this, it is still very responsive and provides the user with a viewing experience they will not forget. Why We Liked It - Its affordable yet still a good-looking TV. It has stylish borders that are sleek and modern which means you can have a nice TV that is also great to watch your movies on. It only has minimal issues that can be overlooked especially if you can find this model for a reasonable price. This TV also features in our top 50" TVs review. Featuring a 4K resolution and a wide range of colors, this UN65MU8500F model is the same as our first choice on the list. However, this TV is 65 inches rather than 55. Therefore, meaning its more expensive but you get a larger TV for the whole family to enjoy together. It has a curved screen and sleek metal borders (that are only 0.39 in width), so it feels super high quality even though you dont have to pay the high-quality price. Regarding picture quality, it is excellent! It isnt exceptional, but its definitely better than many other models out there. The wide range of colors also allows for a better-saturated HDR content too. Several factors let this 65-inch 4K TV down, and there is a reason its 55-inch counterpart sits at the top of our list, and this doesnt. 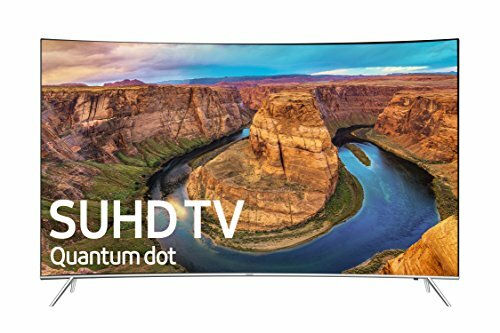 The picture quality degrades when looking at the 4K HDR TV at an angle due to its curved screen. This doesnt matter when youre looking at it from the front perspective, but any other diagonal one and you wont be able to make the picture out too well. The local dimming of this 4K HDR TV isnt the best either, it lacks the quality it claims to have which isnt good when you spend a lot of money on a TV. Spend less on a fantastic 65-inch television for less than 1500 bucks! However, it is still a good Samsung 4K TV with excellent motion handling reaction and smart features that will leave you breathless. Its worth investing your time and money into merely because its a Samsung product and its definitely good quality. Why We Liked It - Its not all about the thickness or looks of a TV but if it was then this budget 65inch 4K TV would win. Its sleek curved screen is something that only some people dream of, but its such an affordable price tag for the large size! Its a Samsung 4K TV you will love, and everyone will be jealous of, for sure. 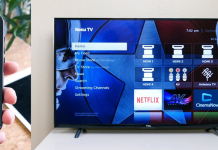 Check out our review on these great 65-inch TVs all for under $1000! This versatile 4K TV has a fantastic picture quality and has great motion handling. Anything fast moving will display well on this TV, even short trails. It also includes a voice control assistant for all your needs, thats something everyone will make use of. Despite not being curved, the UN49NU8000F model is 49 inches and has a small footprint. The stand is central to the TV and sits on one horizontal leg which allows it to be stable. This is perfect if you are planning on placing a sound system or bar at the bottom of your TV, it will fit right in! Unlike other Samsung 4K models, this NU8000F has black borders that are only 0.35 inches in width. This is ideal for anyone who is looking for a sleek designed TV that can be placed in any modern home. The TV body is also thin (a lot thinner than the curved models) so if you want to put it on a wall or in a tight space, it will fit perfectly. It doesnt suffer from many quality issues, but it only has average build quality, this is because it is made from plastic rather than any other material. This is an advantage as its lighter and therefore doesnt heat up when its used for an extended period of time. However, when viewed at an angle, this TV loses its picture quality. There are also sound quality issues with this model too, this is why we would recommend investing in a sound bar or speaker if youre going to purchase this TV. Its a great purchase, but the sound could be improved, even if you only buy a less expensive speaker. Why We Liked It - Having a TV that everyone can enjoy is essential, especially when you have a big family. This 49-inch 4K TV is big enough for everyone to watch at once and the voice control assistant is a huge bonus. Since its not curved, there are fewer issues with the picture quality when viewing from an angle. If youre looking for the ultimate video game TV, this 4K LED TV is a cheaper version of another Samsung model. Yet, it's design is even better. 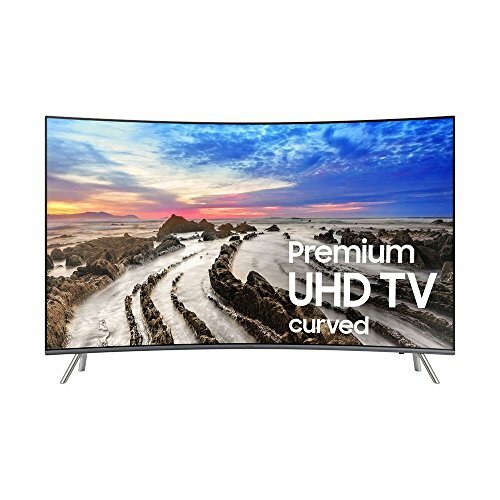 It comes with a sleek remote control, and the screen is curved, which is ideal if youre looking for a curved screen TV that doesnt come with a massive bill. This affordable 4K UHD TV has a very low input lag, which is why its perfect for gamers. However, because it excels in certain aspects, in others, it doesnt. The sound and picture quality of this UN55JU6700F 4K Ultra HD model isnt the best that Samsung has ever produced. Certain customers have been especially disappointed by the sound quality as its an important element to any TV. In dark rooms, the picture quality is a lot better making it ideal for movie or gaming nights. 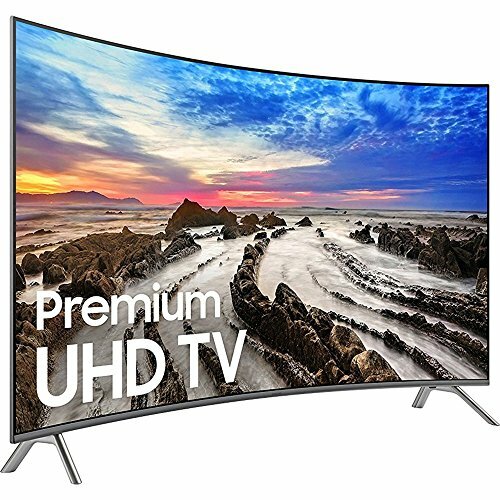 Its curved design is held up by one single horizontal stand, the borders are slim, and it feels high end for a 4K Ultra HD TV that isnt too expensive. While the edges arent the smallest width (coming in at 3.19 inches), they still allow the TV to look sleek and modern. The 4K UHD TV has uniform blacks but does struggle with 24 fps movies, as there is often a judder. Although it doesnt look too bad, this is still an issue this model has. This could perhaps be down to the price tag of the TV. Despite this, it can play 3D material that is always a good thing! Since it has a semi-gloss finish, the TV doesnt reflect much that is good if the room you place it in gets a lot of sunlight. However, since it is curved, sometimes light can be reflected depending on the angle. This is just something to keep in mind when you decide the positioning of your 4K Ultra HD TV. Why We Liked It - Its not every day you come across an affordable yet good quality 4K Ultra HD TV. Its ideal for families who want to save some money but still get a huge TV to sit around. Its even better for anyone who wants to game as its one of the best 4K gaming TVs you can buy! Theres nothing better than finding a good value 4K Ultra HD TV, this Samsung model is definitely that! If you want a good TV that plays home entertainment content well, this 4K LED TV from Samsung will be your new best friend. 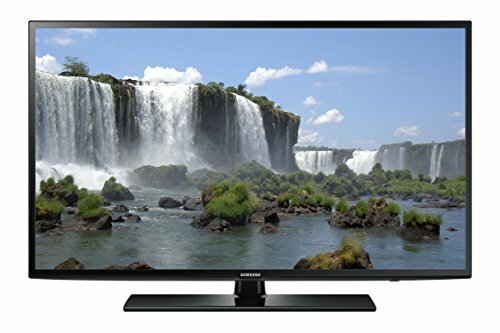 Its not the best TV you can buy on the market, but its still good quality and has good brightness for all those times youre playing super dark movies. The black levels and contrast are both amazing too, so if youre a movie junkie, you have to try it out. This 55 inch TV stands on two V shaped legs that look and feel good quality. Its a modern, sleek designed TV that has very narrow borders. Despite not being curved, it is still a nice TV with a lot of extra smart features. Its also 4K too, what more could you want from a TV? Since it has such a thin design, its ideal for those who want to mount it to the wall. However, if youre wanting to leave it freestanding, then it still looks great! The borders are metal and only measure a small 0.31 inches wide. When viewed from the side, the TV is very thin, so if a design is something that draws you to a TV, youll love it. The picture quality of this model is impressive too, it has a high native contrast meaning it can display blacks and other deep colors well. It also means that when the TV is being viewed in a bright room, it still looks good. However, it does fall concerning reflections. When considering the TV from an angle, the color does significantly decrease. This is also evident when the light hits the TV; it struggles to show the picture accurately. Why We Liked It - The picture quality of this UN55MU8000F surpasses many of the similar models. Its an affordable price and showcases both dark movies and video games really well. Its ideal for a family home theater as you can easily mount it on the wall if you want too, but its as equally stable when freestanding. 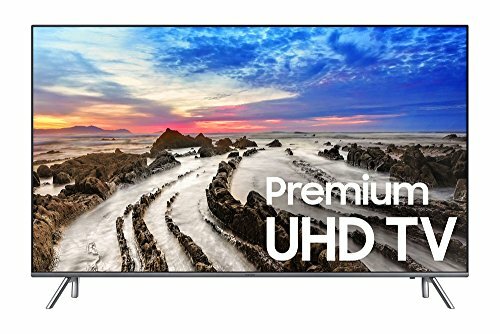 This UN55KS8500F model handles motion well and is the perfect fit for any home looking for a TV that will provide an ideal user experience for their home theater. This Samsung 4K TV deals with reflections well and is bright even if the room is very dark. Its perfect for families or even couples who are just moving in together as its not too expensive. Its curved screen along with the small borders creates a sleek yet simple design that suits so many home interiors. Since its curved and 55 inches, it has two leg stands at both edges of the TV to help it stay in place. This means its stable, even when slightly pushed. There is no need to worry with small children around as it will take a lot for this model to fall over. We especially love the chrome finish of this KS8500F model as it fits really well, its not just the borders that are finished off with this shiny color, but the legs too. One of the only issues this model has is that when turned on for an extended period of time, it can get some hot spots on the screen. Its only slighter hotter than average, but there is nothing to worry about. Likewise, too many other Samsung models, the viewing angle of this model isnt the best. It struggles to keep a good picture and color quality when shown from the side angle. This angle starts to deteriorate on an angle as small as 45 degrees. Despite this, its still a good TV to view from the front. You just have to make sure everyone can sit around the center of the TV and not on an angle, or they wont have the best view. Another issue with the KS8500F is the sound quality, its an unfortunate recurring problem with Samsung curved models. Its okay, but its not as great as it should be for the money you pay. This is something to consider before purchasing the TV. This is especially true if youre buying it for watching movies or a lot of TV shows. Why We Liked It - Family time is the best time and having a larger TV to all sit around and watch a funny movie can be the highlight of any week. Its great to get everyone together and watch something, especially when you know the picture will be of good quality. We like this model for its attractive looks (the chrome looks amazing!) and overall great value for money. While the UN43MU6300F model isnt very extravagant, it still provides a great user experience. When viewing this 43" TV, you can see its good picture quality. It also has an above average input lag which makes it a top pick for those who love to game. However, it does have some minor issues that dont affect viewing too much but could annoy some customers. Being 43 inches, its the smallest TV on this list. This doesnt mean its any less quality than the bigger screened TVs you can buy, its even better than certain ones. It doesnt have a curved screen, but it sits on a central outward V shaped stand. This is identical to previous Samsung models but does provide a stable foundation for the TV to sit on. Despite having slightly larger borders than the other TVs on this list (coming in at 0.67 inches). Its still a great purchase for any family who wants a good quality TV for less money. Its an affordable price, but this does mean the outer case of this model is plastic. This model also doesnt handle motion well either. This isnt ideal if you want to watch fast-paced movies or TV shows. It also struggles to play sound, it is bearable to listen, but sometimes you might have to turn the volume up a lot. This can cause annoyance to some viewers. These issues are small though, and its still a good model for families to enjoy. We would just recommend trying a sound bar or speaker and connecting it up to the TV to have a better sound quality. Why We Liked It - Smaller TV sometimes feel more intimate and are great to watch with smaller families for at home entertainment. Having a bigger TV doesnt always mean youll have a better viewing experience. Spending less money on a TV means youll have more for popcorn and snacks when its your movie night anyway! For those of you who need a standard TV with 1080p resolution, this UN60J6200AF model is ideal. Its affordable and has some great features (including smart ones!). It has minimal motion blur which makes it suitable for anyone who loves watching fast, action movies. Your movie experience can be enhanced too with this model as it has excellent black level uniformity! Despite having some very nice elements, this 60-inch television is unfortunately not curved and stands on one stand. It is stable, but slight knocks could make it fall over so you must be careful around this model, especially when there are small children around. The design of this model isnt the best either, its kind of bulky, and you can tell that its a cheap TV. It still has a good picture quality though, if youre getting a TV to fill the space in your home theater or because your family likes to watch the odd movie, this is ideal. We wouldnt recommend this to avid TV watchers. Its more of an affordable alternative for those who wont use their TV a lot. Why We Liked It - It isnt the best quality or sleek looking TV on the market, but its affordable and performs well. Its perfect for a small family who wants a big TV but doesnt want to pay a considerable price. Not everyone wants the latest technology, and this Samsung model is ideal for anyone who still wants a smart TV without the hassle of buying the latest one. Unlike most other Samsung models, this UN50J5000AF budget Samsung TV stays good quality when you view it from the side or at an angle. It also has very little motion blur and a low input lag, making it a perfect budget gaming TV. If youre wanting to spend only a small amount on a TV that will fit perfectly in a gamers bedroom or another room in your house, this model is ideal. The resolution is 1080p which may not be 4K, but it is still good quality. It also has a sleek, modern design that looks very expensive when its more on the budget end of the scale. However, since it is more affordable and less costly than other models, the features arent as good. It has poor black uniformity, and sometimes it struggles to display the really dark colors during movies and TV shows. The reflections of this model arent the best either, despite the model having a semi-gloss finish, it still reflects light this is fairly relative to its low price point. We would recommend anyone who purchases this budget Samsung TV to place it in an area of your house that doesnt see much light if you want the best experience. 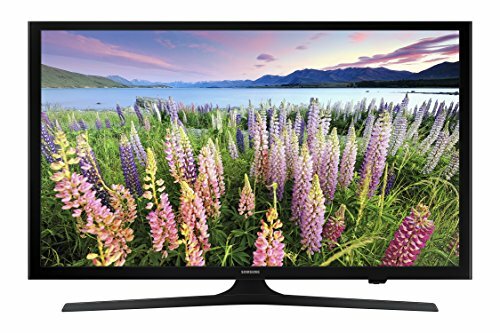 There are other similarly priced budget TVs you can buy on Amazon that provide a better picture and color accuracy and quality. Its always best to keep your options open and see the best budget TV you can buy with your money. Why We Liked It - Its affordable and ideal for families who want to save some money but still get a TV that performs well. If graphics and resolution arent something that bothers you, then a budget 50 inch TV like this is definitely the best option to go with. 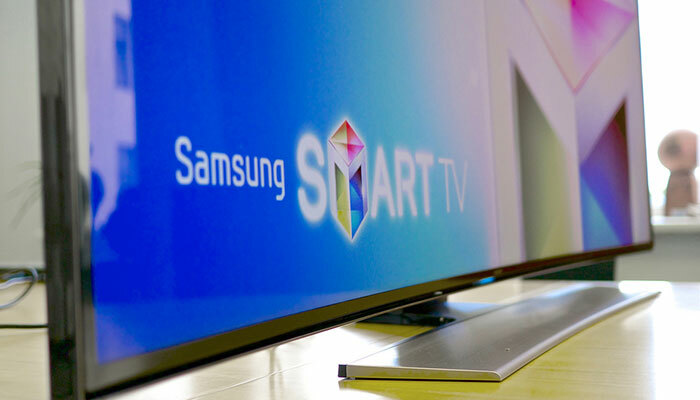 Before you purchase your new Samsung TV, there are specific factors you need to consider. This will ensure you get the best TV possible that suits all your needs. If youre buying for a family, then there are even more factors than if youre only a couple living in an apartment! Weve listed some factors below to help you on your TV choosing journey. The best way to judge what size TV you need is to see how far away you sit from your current TV. The further away you sit, its more than likely you need a bigger TV. Those who lie between 1 and 2 meters away from the TV are recommended to get a 40-inch 4K screen. Between 2 and 3 meters, 55 inches is recommended, and then above 3 meters, you will probably need either a 60-inch TV or 75" TV. 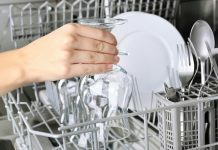 Despite these guidelines, its your decision and shouldnt be taken lightly! Think about what size is ideal for you then purchase what you think is best. This is a personal decision and should not be taken lightly. 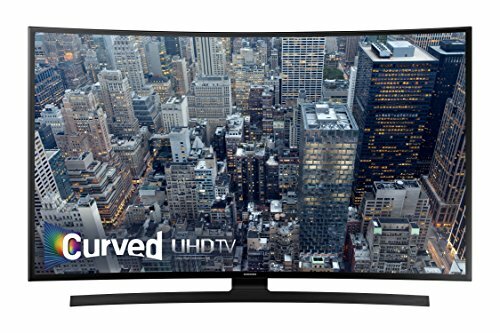 If you want a more cinematic view that genuinely does enhance your viewing experience for your home theater, then you may consider purchasing a curved TV. However, Samsung does many TVs that are still great and arent curved. Typically, the curved screen Samsung televisions are more expensive, but theyre not always better quality. Its not the most essential element of a TV for a home cinema, but having 4K resolutions means an overall better experience. 1080p resolutions are good too and should be considered. Think about all the factors each TV offers and then weigh this up with the resolution size and make your decision. They are the leading electronics company in the world for a reason, so yes. We would say their TVs are good. Most of the Samsung televisions have great picture and color quality, they also perform well when playing fast-paced movies or TV shows. South Korea or China mostly, they are often assembled in the USA too. Different models from both Samsung and LG offer various features from picture quality to extra smart features. Neither TV manufacturer is better they just offer different things. LG is another large electronics company that offers similar modeled TVs for the same price tags. When a TV has smart features, it means that it has apps and can play many different things such as Netflix or YouTube. Smart TVs have an internet connection and offer mostly online features as well as regular TV. Each Samsung TV is given a different model name, each letter in the model name stands for a feature or where it is produced. To conclude, its fair to say that there are many different Samsung televisions with various features that continue to wow us. As technology grows, so does the TV industry. Samsung will continue to create well-made TVs for all different budgets. The UN55MU8500F model is an excellent choice for everyone and continues to dominate the electronics world, as it gets more popular! Try to get a new TV, as it will last for a longer time. Second-hand TVs are less expensive at first, but they wont last as long as a brand new one will. Pay a little more and invest in a TV that will last years rather than months. Samsung is initially a South Korean company that has headquarters in Seoul.